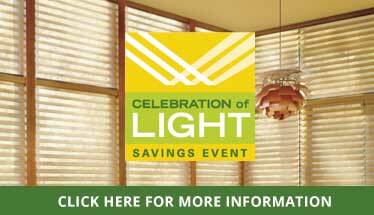 The next generation in window treatments is here at Creative Window Coverings! With PowerView Motorization, Hunter Douglas has taken us into the 21st century boldly, making operation of your window treatments virtually effortless. That’s right: tech has given us “smart” shades. No more cords or wands! With a remote, you can adjust up to SIX groupings of window treatments in your home at a time or separately. It gets even better: with the PowerView app, you can program your window treatments to be completely automated; by selecting “Scenes,” for example, you can command them for the day to open and close with the rising and setting of the sun. All you need is Internet access through your mobile device; you need not be home to program your shades, etc. Voice commands through devices available from Amazon are still another possibility. And if you already have a whole-home automation system, PowerView will integrate seamlessly with it. Cool Motorized Features: Program Your Shades from Anywhere! Here are just a few things you can do with the controls for your new motorized window treatments. The favorites button allows you to reuse your most employed settings at the touch of your remote. Your remote also includes vane control buttons and an open and close button. Toggle between assigning shades to groups or operating each individually with the all button. You might still be asking yourself if an upgrade to motorized window treatments is worth it. Understandable. Well, consider the safety advantage if your household includes young children and/or pets: no more cords or wands to worry about. Also, count up your energy savings as you can adjust the opening and closing times of your new window treatments to keep up with the changing seasons. All in all, we dare say it beats standing on a ladder to adjust your shades. Find out for yourself how awesome Creative Window Coverings’ motorized window treatment options are, including roller, screen, honeycomb, and roman shade options. Stop by our Oceanside, NY store soon for a consultation. We serve Rockville Centre and the surrounding area.